We can travel more than we have ever had the ability to before. Indeed, travel is now part of everyday life for most of us, whether to or for work, or on holiday. 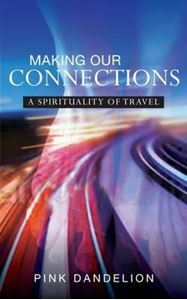 This book looks at how we enhance the spiritual dimension of our lives as we constantly head off to somewhere else. How has the experience of travel changed? What are our motivations? How do we nurture spirituality as we seek to overcome the discomforts of mass transit? What have the modern means of motion done to how we relate to those we travel with and amongst? How are we to travel? The potential to learn, both in head and heart ways, from our mobility has never been greater. This book offers directions we may take to reclaim and rediscover an attitude to travel that builds community, and through that enhances our sense of Spirit at work in our lives and in the world.